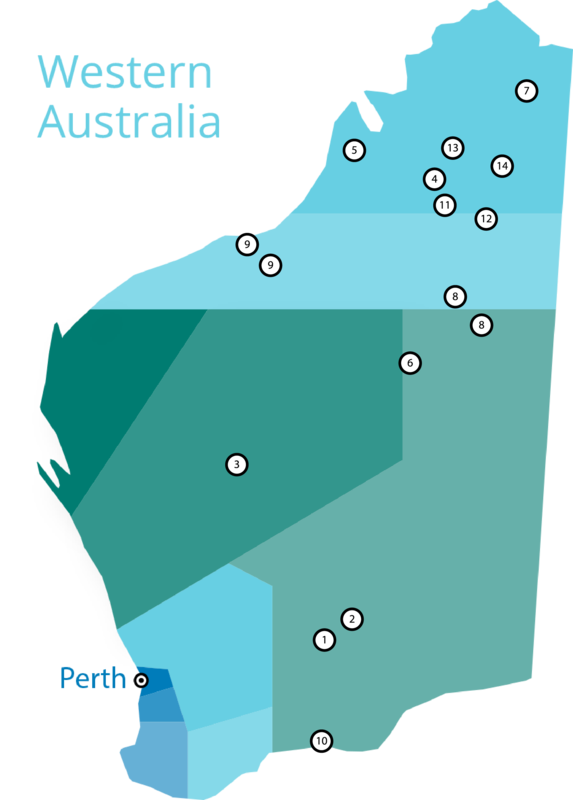 The fourteen Aboriginal Independent Community Schools (AICS) of Western Australia provide tangible evidence of Indigenous Australians commitment towards quality education. They are located in the Kimberley, Pilbara, Murchison, Goldfields and Great Southern area. The schools are autonomous and do not operate as a system. They do, however, have many features in common and are involved in a range of cooperative initiatives. AISWA provides services to these schools in the form of consultancy and professional learning support, such as the AICS Conference held annually in Broome for principals, leaders, teachers and education assistants. AISWA showcases the work that these schools do, the projects they share, their success stories, and the conditions in which they operate in the AICS News and Publications section of this website. AISWA also assists these schools by distributing expressions of interest for employment at an AICS. Despite different histories and social settings, the common thread that connects these schools is that each has an Aboriginal governing body responsible for staffing, curriculum, school buildings, staff houses and financial accountability. Notwithstanding their obligations to comply with the State Education Act and national education policy principles, these schools are independent of government and belong to the communities they service. Western Australia’s Aboriginal Independent Community Schools emerged at a time of profound change in the way governments dealt with Aboriginal people. The 1967 constitutional change, which empowered the National Parliament to make laws for Indigenous Australians, paved the way for significant federal funds to support Aboriginal community development. This change coincided with aspirations by many Aboriginal people to move from congested settlements with all their destructive social problems and to establish independent communities on their traditional lands. The success story of these schools is in their capacity to deliver mainstream education in an environment where learning is nurtured by cultural identity, traditional language in many instances, and a sense of belonging to place. Vastly improved literacy results for students in these schools over the past decade are an obvious measure of their achievements. Harder to measure but evident, community well-being and social functioning is also an important product of these schools. Looking for the AICS Portals? The Numeracy and Literacy Portals are available for AISWA member Aboriginal Independent Community School staff. All AISWA member AIC Schools are listed in the Search for a School directory.